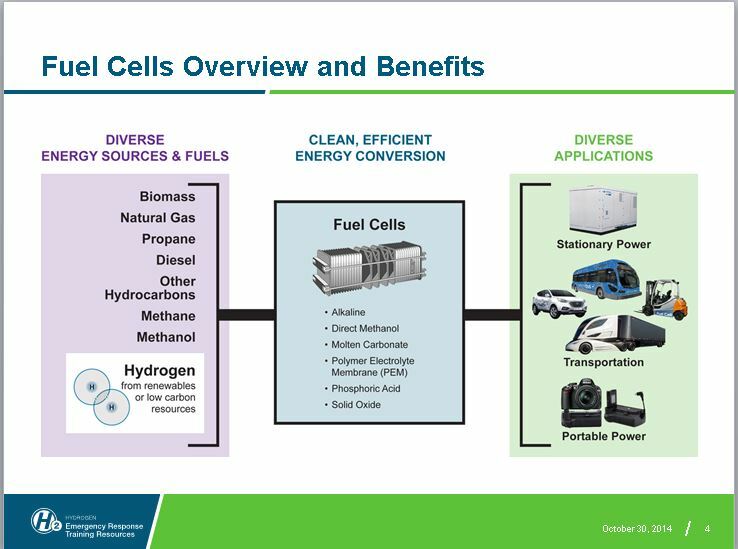 A properly trained first responder community is critical to the successful introduction of hydrogen fuel cell applications and their transformation in how we use energy. 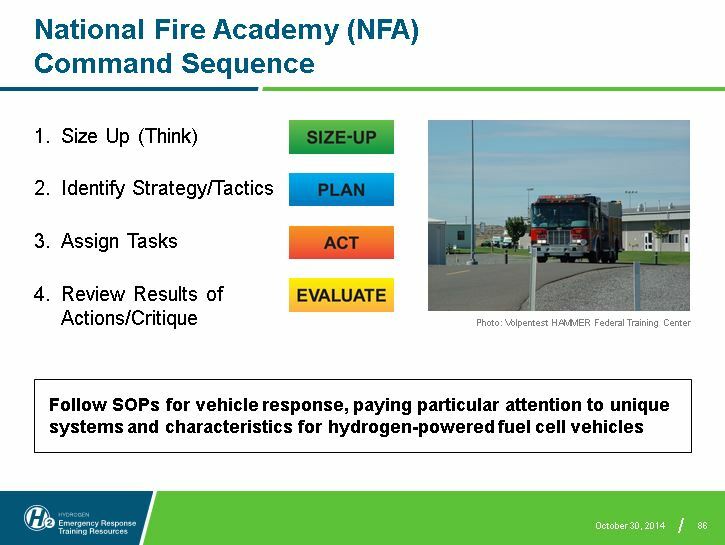 We envision that hydrogen and fuel cell-related first responder training will be delivered locally to serve missions to protect life and preserve property, utilizing this national emergency response training resource as a consistent source of accurate information and current knowledge. These training materials are adaptable to the specific needs of first responders and training organizations and are meant to complement the extensive training programs already in place. 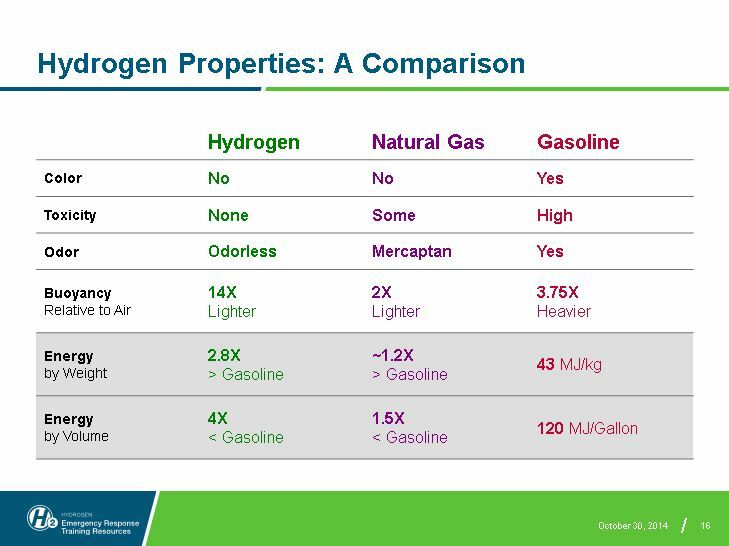 View the webinar and presentation slides about this resource. We welcome and encourage feedback from presenters and audiences on the use of these training materials. Your experiences will help us ensure their continued value to emergency response personnel and training organizations. Please send us your comments and suggestions. This material was prepared as an account of work sponsored by an agency of the United States Government. Neither the United States Government nor the United States Department of Energy, nor any of their employees, nor any of their contractors, subcontractors or their employees, makes any warranty, express or implied, or assumes any legal liability or responsibility for the accuracy, completeness, or usefulness of any information, apparatus, product, or process disclosed, or represents that its use would not infringe privately owned rights.